Powder-soft sands, shallow waters, Blue Flag status…whatever your idea of the perfect beach may be, Spain has a bundle of spectacular stretches to choose from that are suitable for you and the little ones. 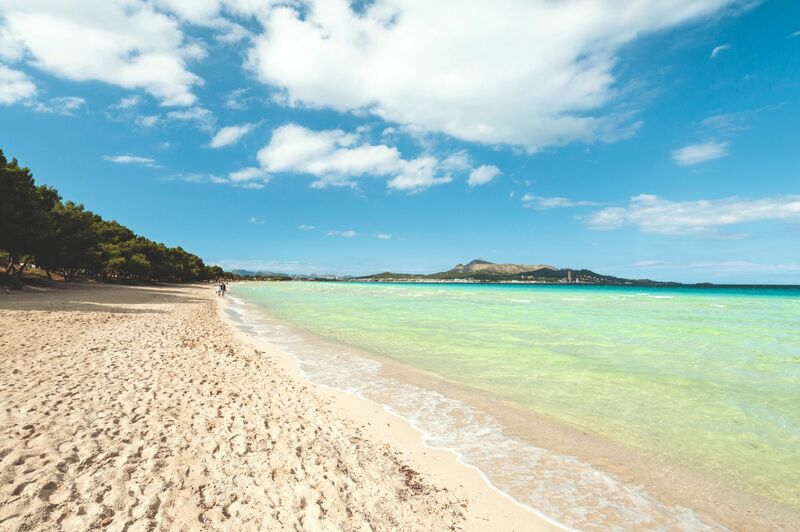 To make things a little easier when deciding on the best beach resort for you, we’ve handpicked the top family-friendly stretches of sand where you can spend your summer soaking up the rays. 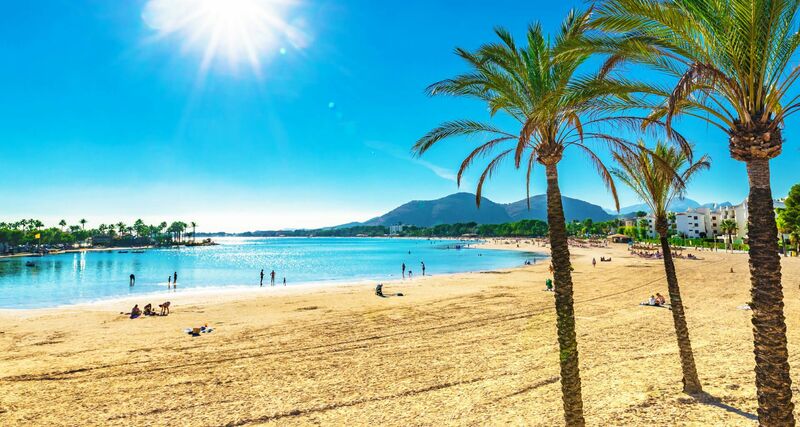 Located in the north east of Majorca, Alcúdia, is a beautiful blue flag beach and boasts one of the longest stretches of sand on the island. With its clear shallow waters, this beach has always been a huge hit with families with little ones paddling the day away. If you fancy something a little more energetic, you will find a great selection of water sports available, such as banana boats and ski-tubes. If you want a day away from the beach, we would recommend a wander around Alcudia Old Town and a spot of shopping at the market on a Tuesday and Sunday morning. 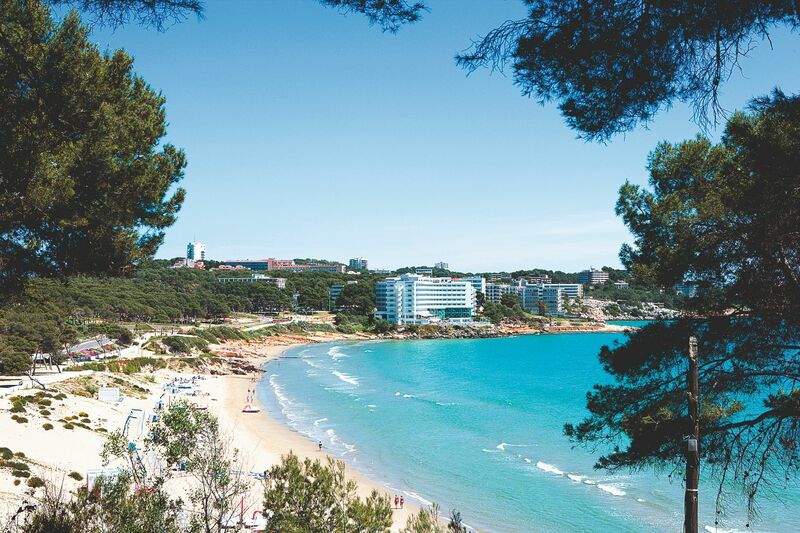 Nestled on the coast of mainland Spain, near Tarragona, lies the city of Salou. You’ll find an incredible nine beaches all within easy reach – and two in particular, Ponent and Llevent, have been awarded Blue Flag status! They both have children’s playgrounds and lifeguards on the beach. From July until August Llevant Beach open the Kiddie Club, with fun workshops for the children. The average temperature in July is around 25°C. Salou, is also well-known for its two fantastic theme parks, Portaventura and Ferrari Land and are great for an action-packed family day out. Fuerteventura is located in the Canary Islands and is a year-round destination. It’s rich with beaches and has over 150 for you to discover. 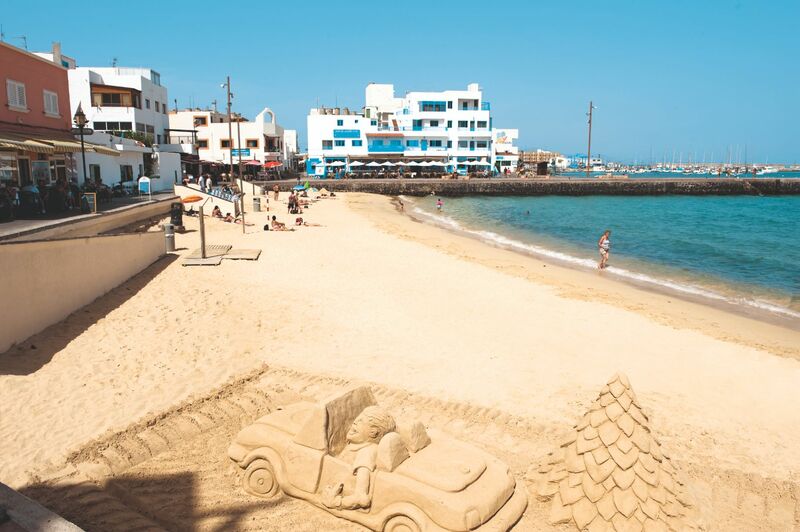 The resort of Corralejo has various beaches dotted around suitable for families. The largest beach is Playa Waikiki and is located in the centre of Corralejo. This beach is sheltered which makes it a great choice for little ones. Corralejo Grandes Playa Beach, is situated on the outskirts of town, but is well worth a visit for a day at the beach. Not far from Menorca’s airport, Son Bou is a beautiful holiday resort based on the south coast of the island. Menorca is part of the Balearic Islands and is neighbours with Ibiza and Majorca. 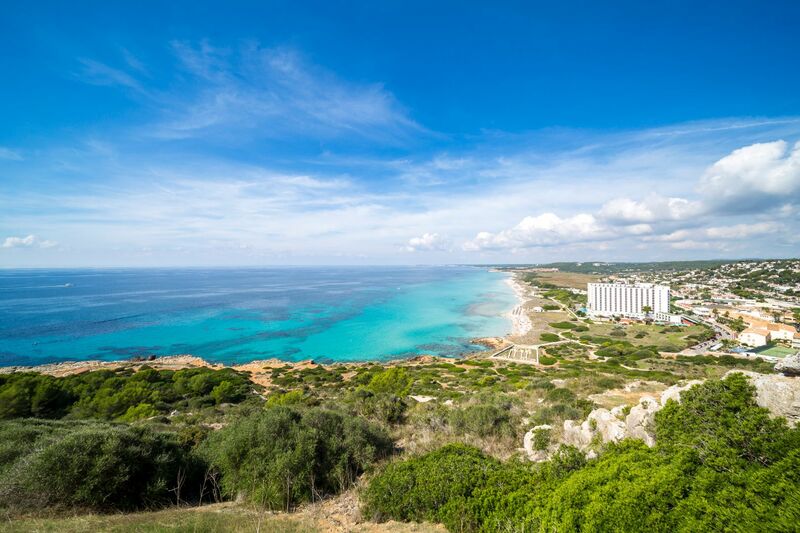 Son Bou is the longest and largest beach on the island and is known for being family friendly. You will find several lifeguards dotted along the beach for your safety. The beach has some top activities on offer such as, trampolines and a giant inflatable aqua assault course. Situated on the east of Ibiza, Es Caná has picture-postcard looks, with palm trees, white sands and crystal clear water. The beach is an attractive crescent shape with gently shelving clear waters. A selection of water sports are on offer and there are plenty of boat rides and scenic tours available. 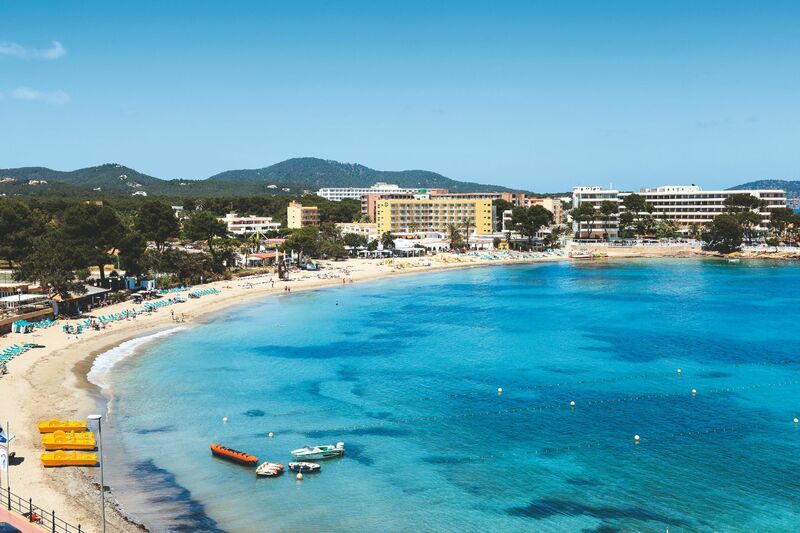 Es Caná is well connected to the rest of the island by bus and ferry should you want to discover more of Ibiza, and the average temperature in July is 22°C – what are you waiting for? So, which beach will you choose? Whether you fancy mainland Spain, the Balearics or the Canary Islands, we’ll help you get there.